Dan Leno - A Royal Jester! 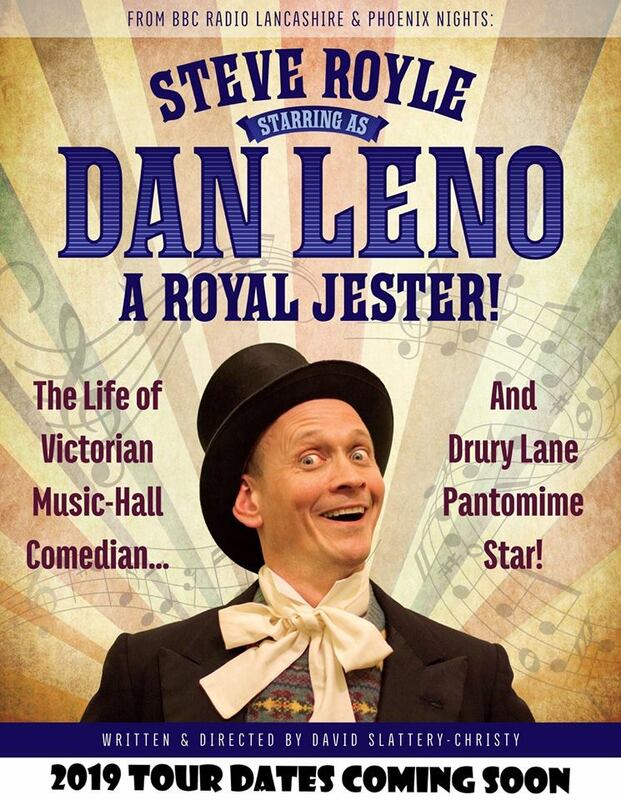 Steve Royle stars as the legenadary Victorian music-hall comedian and Drury Lane pantomime star, Dan Leno. Premiered at Lytham Festival in 2018 to critical acclaim the play is now touring during 2019 with the original cast. With Andy Cooke, Jordan Kennedy, Louise Steggals and Nicole Violet. The play contains some strong language and adult themes. Children 12 years and over with parental guidance.